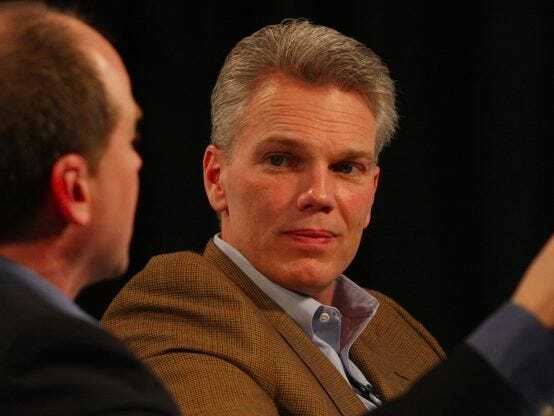 When we sat down recently with Intuit CEO Brad Smith at the financial-software company’s Mountain View headquarters, we had one burning question.Why did Smith quit Yahoo’s board? In the two and a half years Smith was on Yahoo’s board, he had five CEOs. Smith had a role in hiring one of them, Scott Thompson, who resigned after activist investor Dan Loeb revealed he didn’t have a computer-science as degree his Yahoo biography claimed. Thompson, then president of eBay’s PayPal unit, cold-emailed Smith to apply for the job. He had nothing but praise for Thompson’s successor, Marissa Mayer. But he didn’t feel like he could keep investing the time in helping Yahoo. In 2012, he told us, the board or its committees met 61 times. “It was hundreds of hours,” he said. “[The Intuit] board and I decided I should step down” because there wasn’t enough “ROI,” or return on investment, for all that time. Smith isn’t currently serving on any outside boards. His focus on Intuit seems to be paying off — the stock, which has tripled since he took over, keeps charging upwards. intuit marissa mayer sai-us scott-thompson yahoo!